Share and … Subscribe to Transcend Censorship! Facing a Dying Nation. In this issue, the 2014 and the 2018 Total Gamma Counts break 3 Billion Counts in radiation – each year! 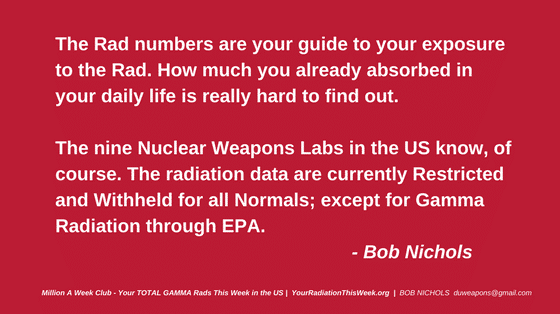 ARE YOU SUBSCRIBED TO the Bob Nichols report, MILLION A WEEK CLUB – YOUR RADIATION THIS WEEK articles, blogs & VIDEOS? 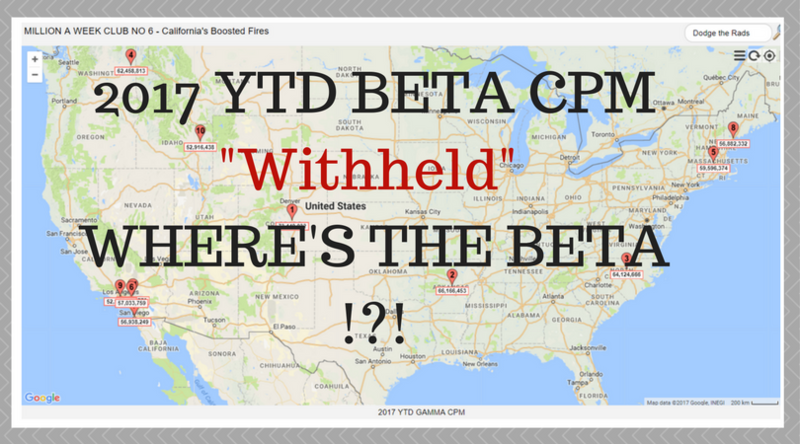 2,173,286,186 [that’s Billion] CPM YTD in 2018. 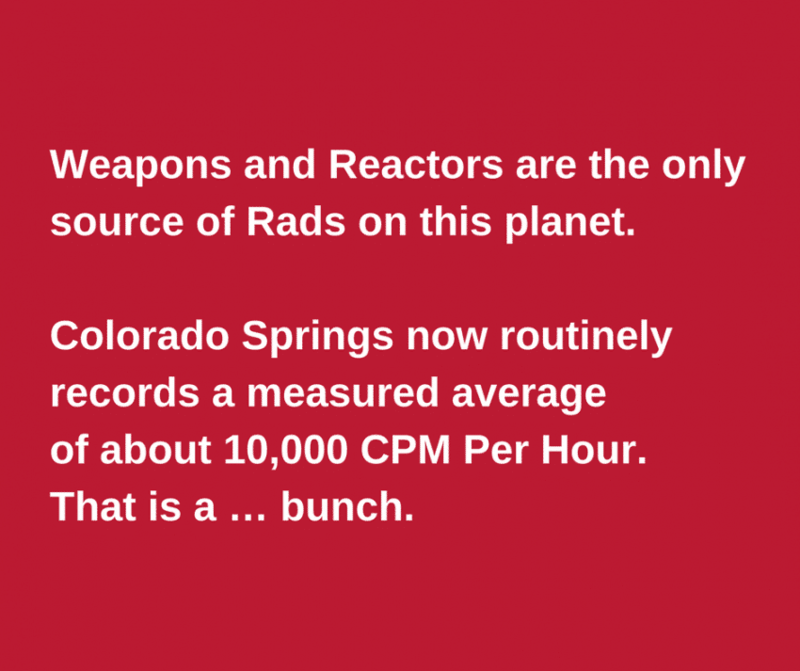 See NEW DATA in the Colorado Springs, Colorado Radiation History 2006 – 2017, and the 2018 Annualized Rate of Gamma Rad. The increase this week, July 7, 2018 to July 14, 2018 was a high 77,889,318 cpm. This is an increase in only a week that is way too high a price to pay. Note: It is not really 11 years, just 9 years; data was WITHHELD for 2006 and 2007, and continues to be WITHHELD by the PTB [Powers that Be]. I wonder what really happened in 2006 and 2007, don’t you? This is a public service message shared in compliance with copyright permissions. Transcend Censorship; Subscribe and Share. 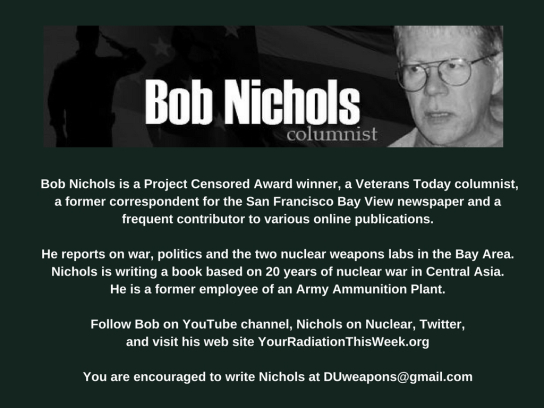 IF YOU MISSED EARLIER ARTICLES, GO directly to Bob Nichols VT column or/and Your Radiation This Week website for the Nichols on Nuclear library of article HERE. 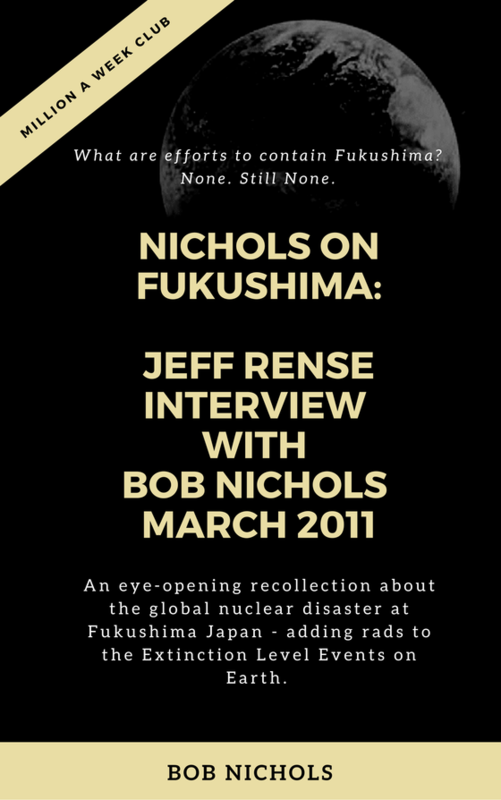 IF YOU MISSED EARLIER VIDEOS, GO to the Nichols on Nuclear Playlist on YouTube. Transcend Censorship – Subscribe HERE and share Everywhere. 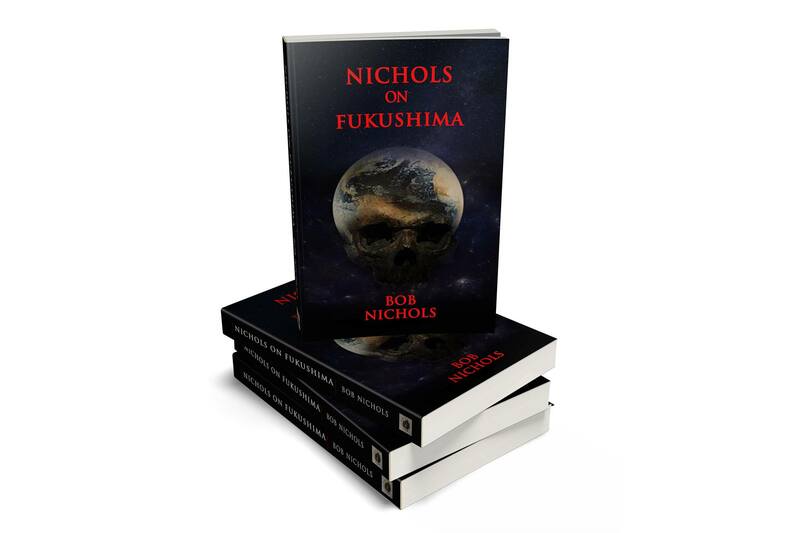 Read the entire series in the Nichols on Nuclear Library of Articles (including but not limited to More Nichols on Fukushima since 2011, Your Radiation This Week reports since 2015, and Million a Week Club reports follow. 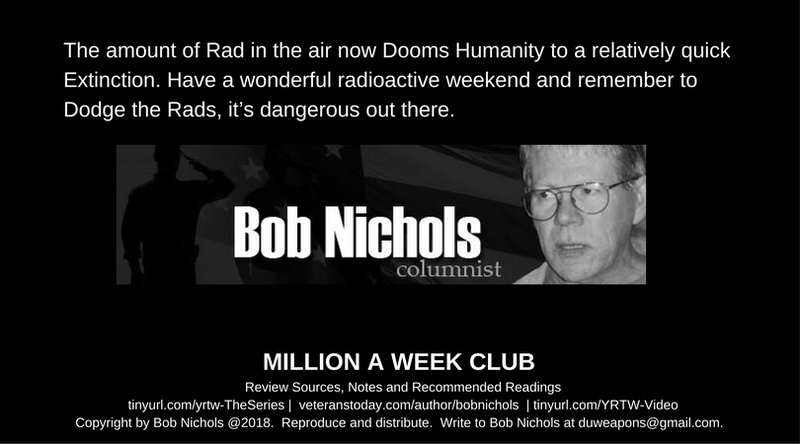 #DodgeTheRads and continue to watch the entire series on MILLION A WEEK CLUB | Your Radiation This Week video channel and watch for a Patreon site. Till then, continue to share share share like there’s no tomorrow, and remember remember….. the information is free to you, but not free to research and produce. 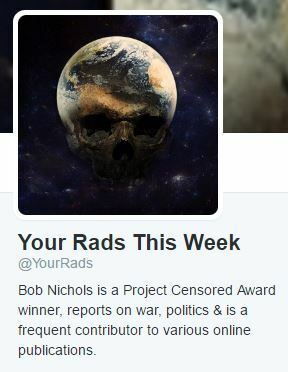 You can always send a token of appreciation directly to Bob Nichols via PayPal, particularly if you like the First Amendment. You can do even more by subscribing and sharing further with your smart friends, in your groups and other social media sites. Reblog, with links and attributions, per copyright permissions. 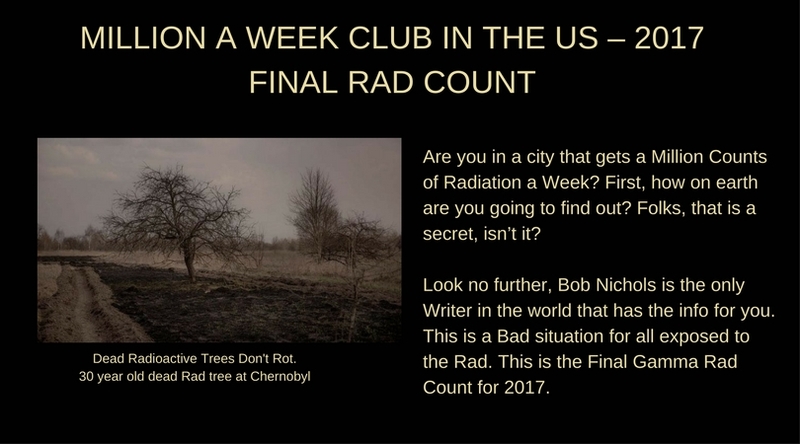 VIDEOS: SUBSCRIBE to MILLION [RADS] A WEEK CLUB | Your Radiation This Week YouTube Channel. Reactors all leak all the time. 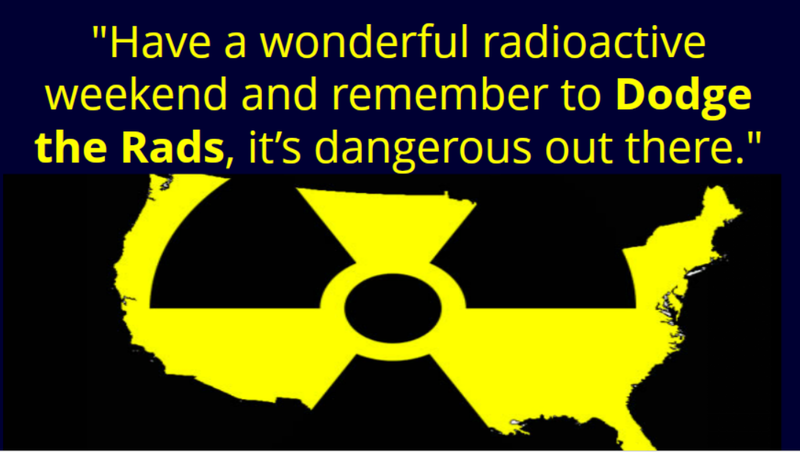 This is a Bad situation for all exposed to the Rad. 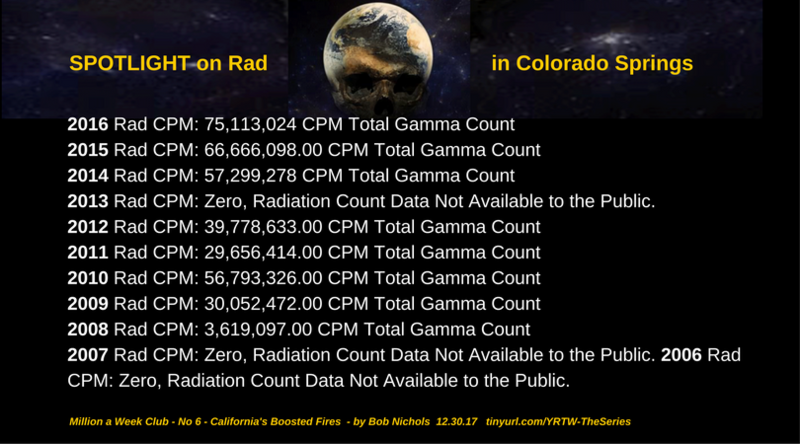 Now included, for the 7th Week of 2018 just passed, all cities above 7,000,000 CPM Year to Date of deadly Gamma Radiation and its unpublished radioactive kin. A Count is One Radioactive Decay. 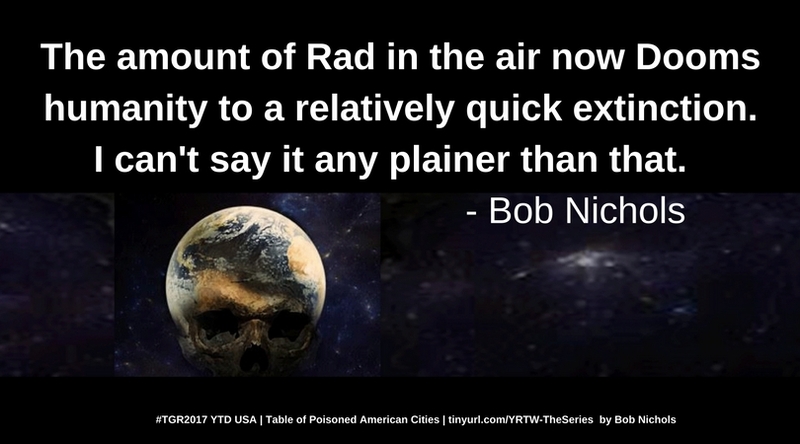 See the original article for access to the sortable Table of Poisoned American Cities in the Bob Nichols Veterans Today column. 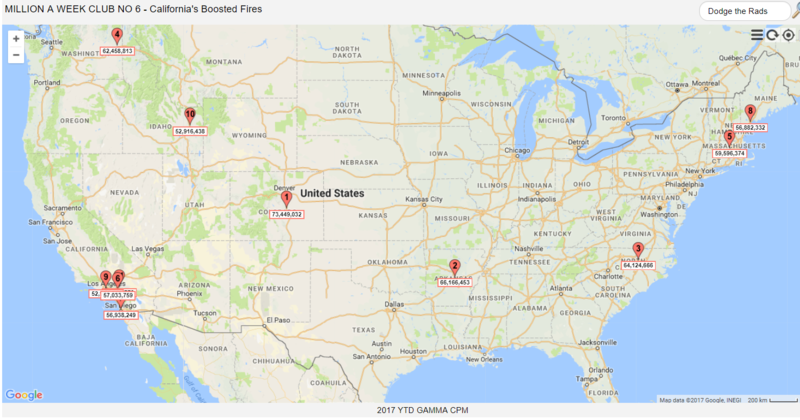 Seventeen  cities measured and recorded CPMs above 7 Million CPM Year to Date this week just passed. An additional four  cities have Estimated CPMs above 7 Million due to a high number of missing hourly reports. The missing values were calculated using the Average Values YTD method on my Web Sites. The missing reports are expected to be filed in the next few weeks. For now the missing reports are filled in by the average radiation since the first of the year. 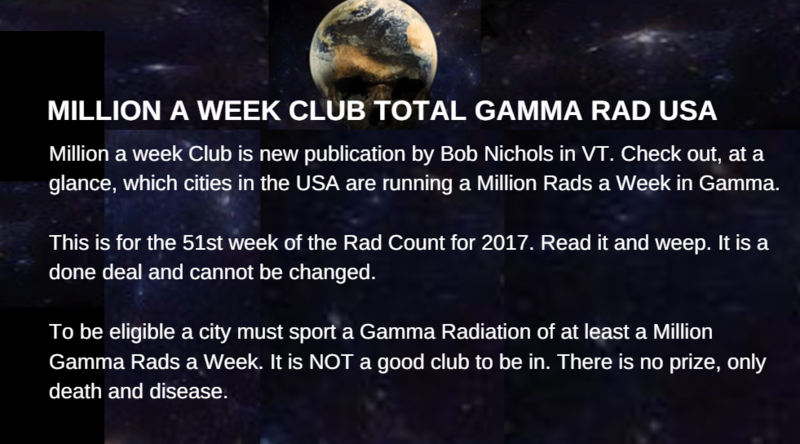 The cities with missing Rad Reading this week are available on my websites. See below. We Are The Media Now — Shared per copyright permissions as a public service message. 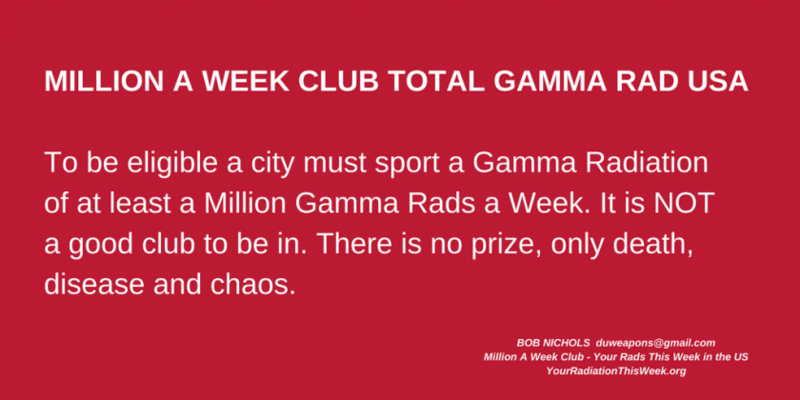 Thank you, Bob Nichols and Million A Week Club – Your Rad This Week in the US! SUBSCRIBE for Million A Week Club email updates. 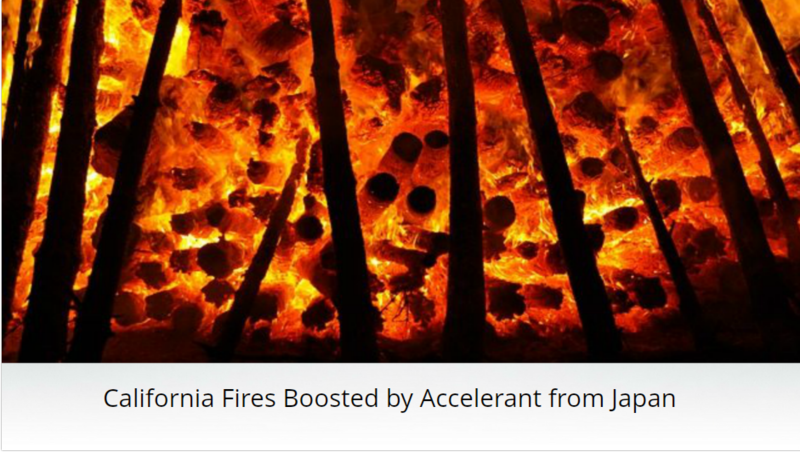 STAY INFORMED! 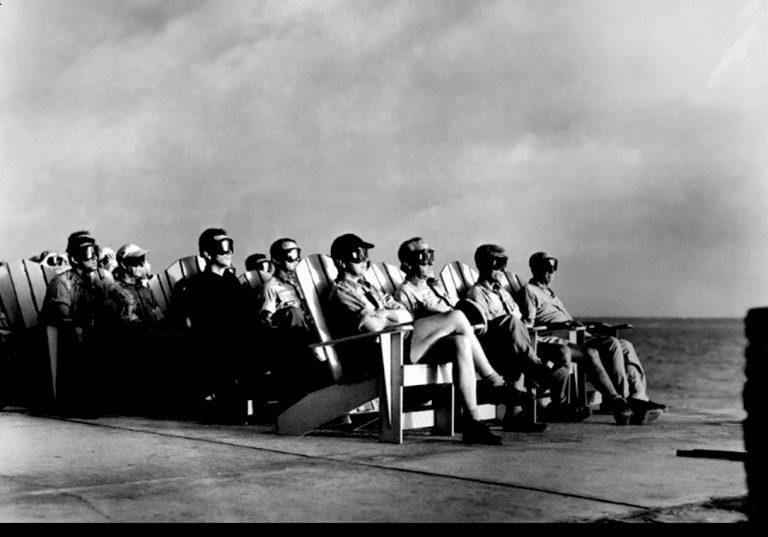 Morons who accepted “invitation” to witness nuclear detonation. Would you? 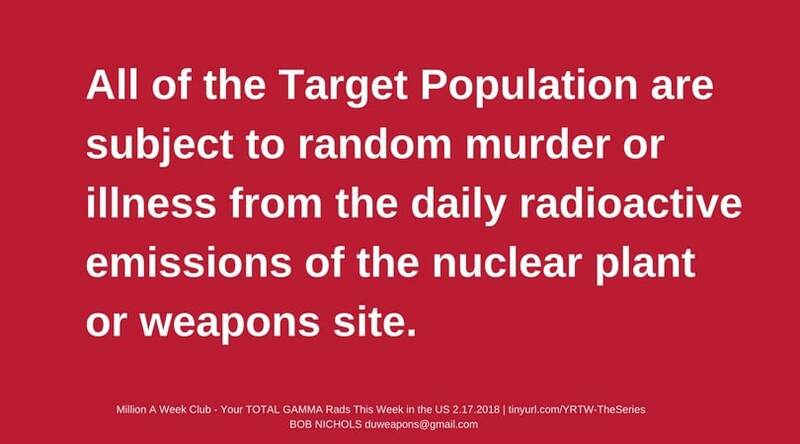 Nukes are great for Random Murder of the Target Population. 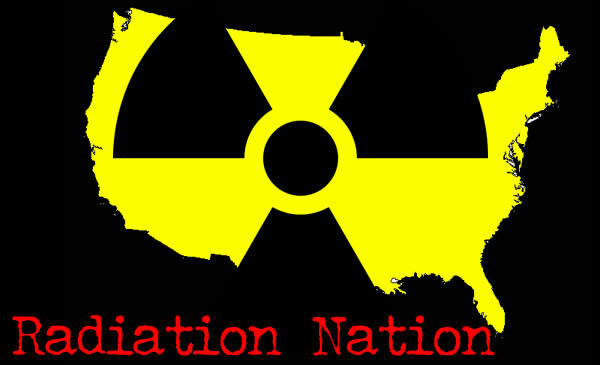 US NUKE NEWS – NOT A DRILL! 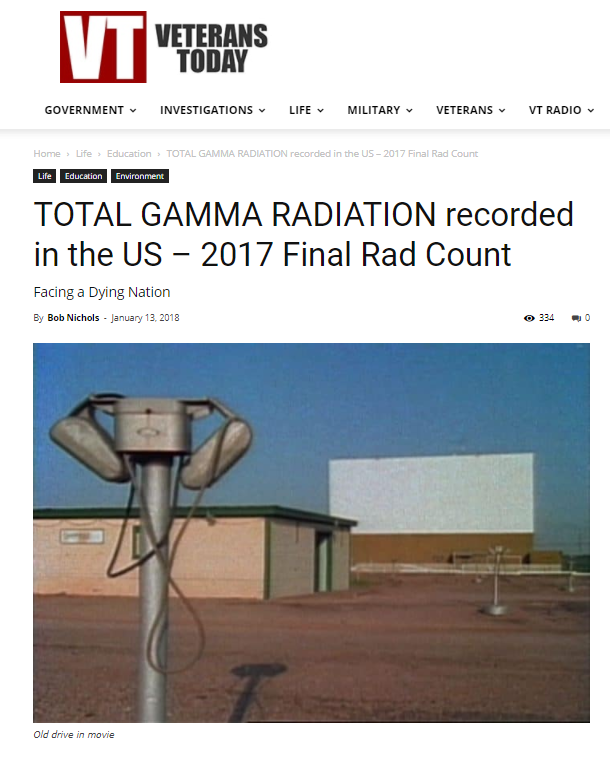 TOTAL GAMMA RADIATION RECORDED IN THE US – 2017 Final Rad Count by Bob Nichols – Read it and Weep, then share like there’s no tomorrow! Also see video at tinyurl.com/YRTW-Video and read the entire series at tinyurl.com/YRTW-TheSeries because WeAreTheMediaNow.com and Everybody Must Do Their Shares. 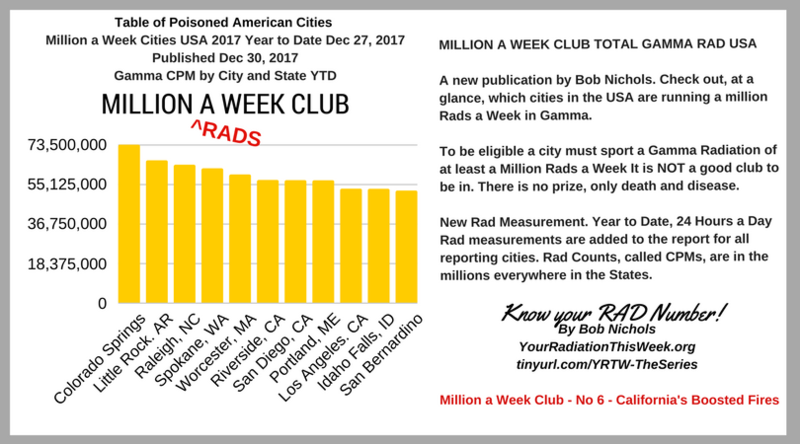 See the sortable TABLE OF POISONED AMERICAN CITIES on the Bob Nichols column in VT.
December 31, 2017 We Are The Media Now "Facing a Dying Nation", All Nuclear Reactors Leak All Of The Time - Some More Than Others - ON PURPOSE., Bad Air Alerts, Bob Nichols - More on Fukushima Since March 2011, Bob Nichols - Project Censored Award Winner - Veterans Today Columnist - and Frequent Contributor to Various Online Publications, MILLION A WEEK CLUB No 6 – California’s Boosted Fires, Your Radiation This Week - Nichols on Nuclear - videos	"Where's the Beta? 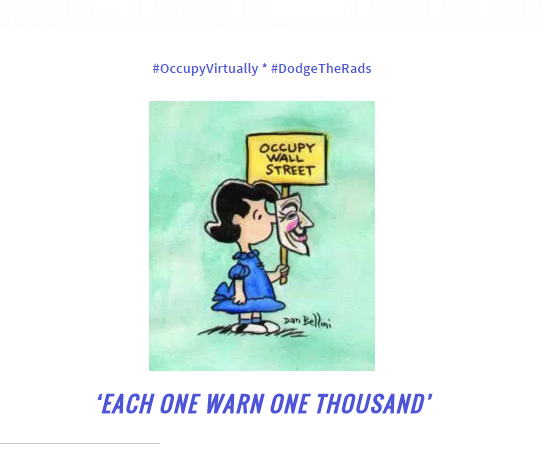 ", #DodgeTheRads, alpha, CHITIN, CPM, FUKUSHIMA, Japan, Lucy Occupy and Friends, MILLION A WEEK CLUB TOTAL GAMMA RAD USA, Million Count Cities, Million Rad Count Cities, NUCLEAR WAR CRIMES, Sievert, Spotlight on Rad in Colorado Springs, Table of Poisoned American Cities, We Are The Media Now, Wigner Effect, YOU CAN'T FIND IT ANYWHERE ELSE! 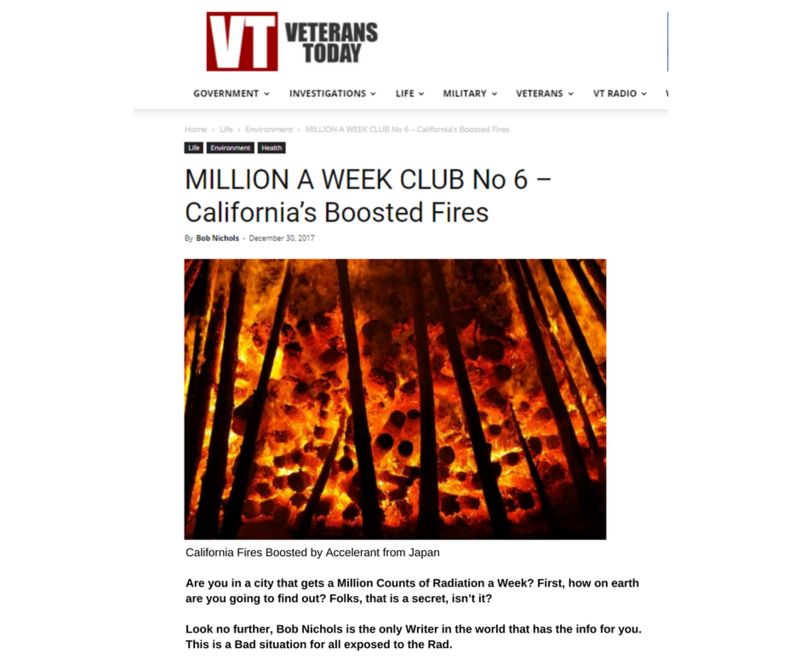 Million A Week Club - Are you In It? 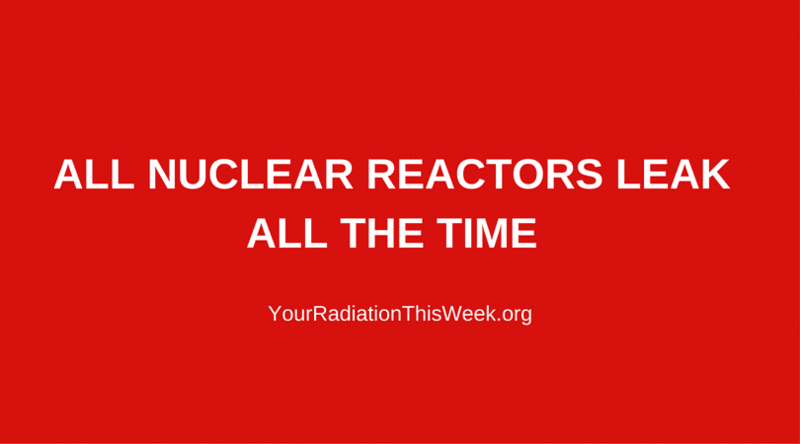 ARE YOU SUBSCRIBED to Your Radiation This Week for email updates? 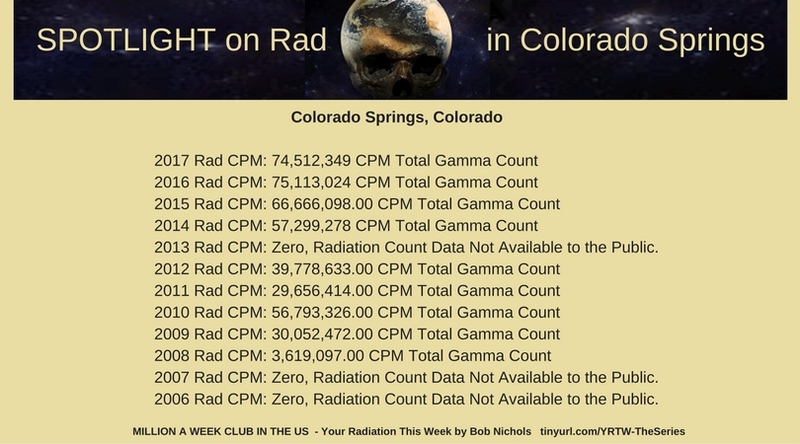 The SPOTLIGHT on Rad in Colorado Springs is added to present the records for the Total Gamma Radiation in Colorado Springs for the past Ten years. This is a public service message brought to you and yours by Lucy Occupy & Friends in compliance with copyright permissions. 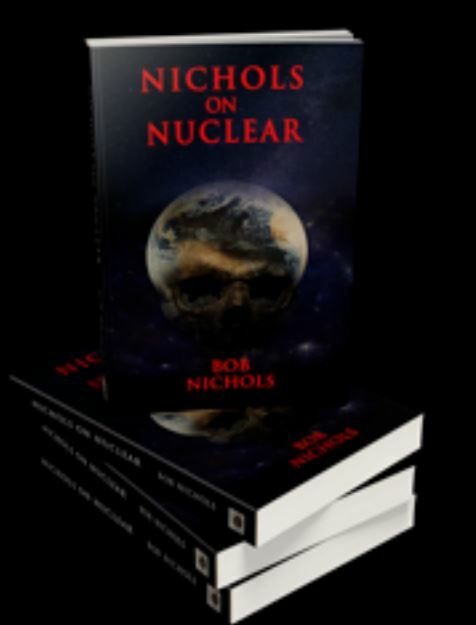 Read the entire series at the Bob Nichols site here.